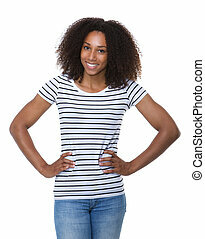 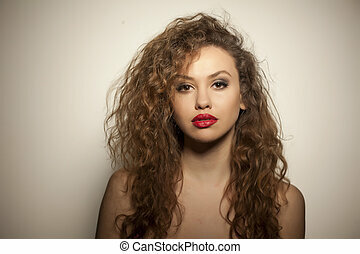 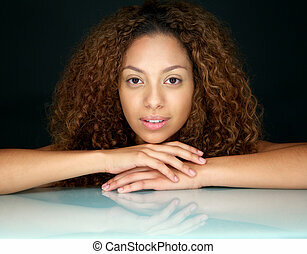 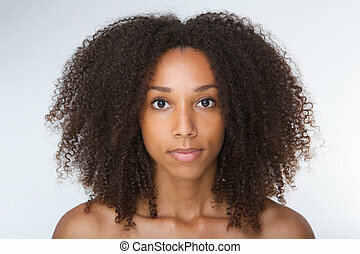 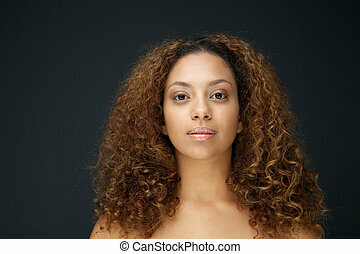 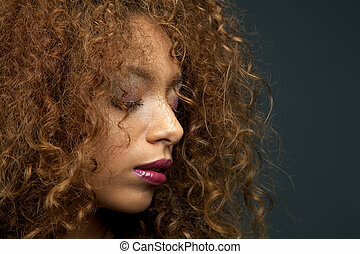 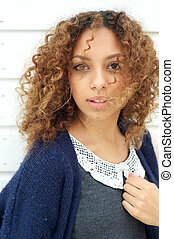 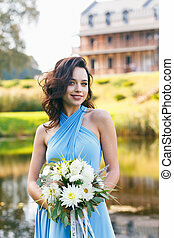 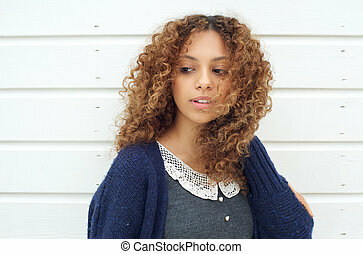 Beautiful young woman with curly hair. 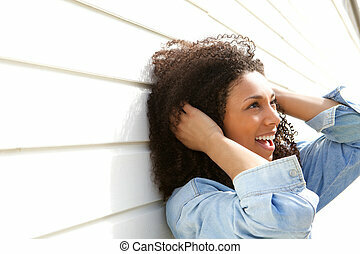 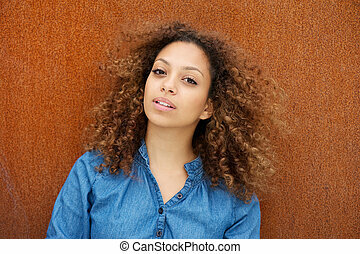 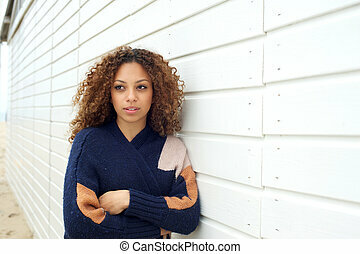 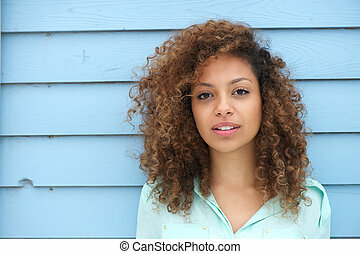 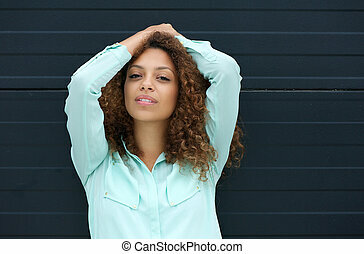 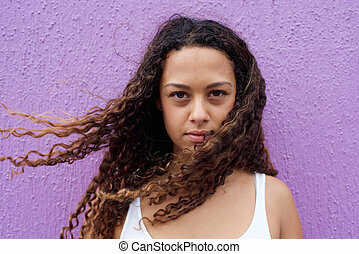 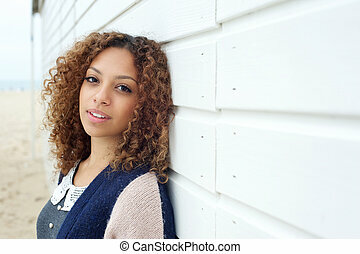 Portrait of a beautiful young woman with curly hair standing outdoors and looking up. 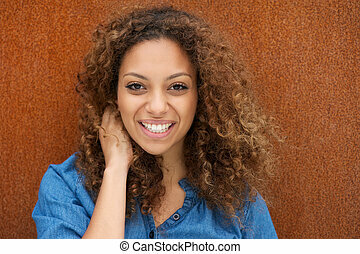 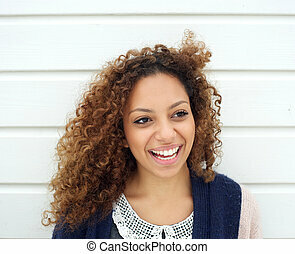 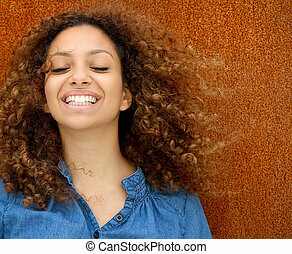 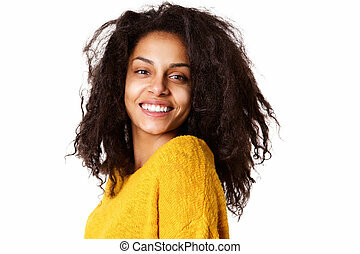 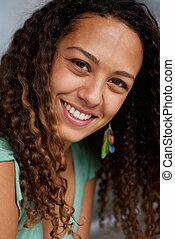 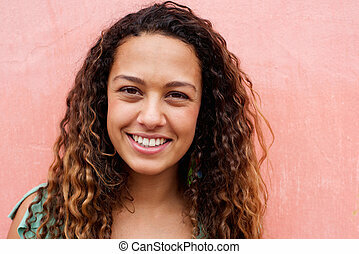 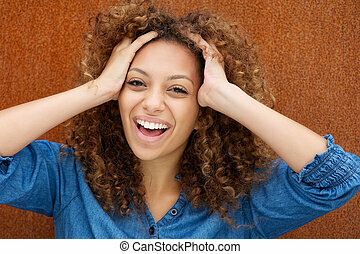 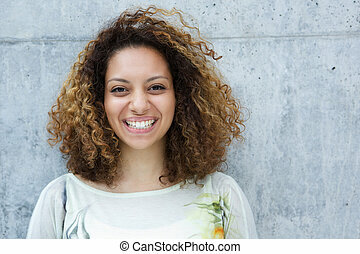 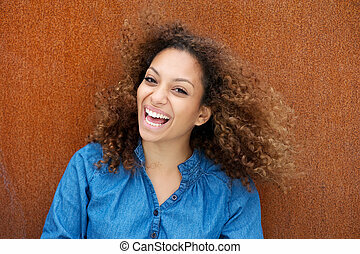 Close up portrait of beautiful young woman with curly hair smiling.